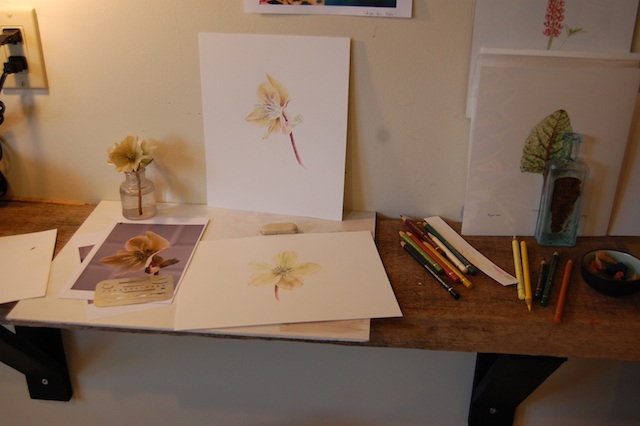 so I just couldn't leave the hellebore drawing unfinished (see previous post). 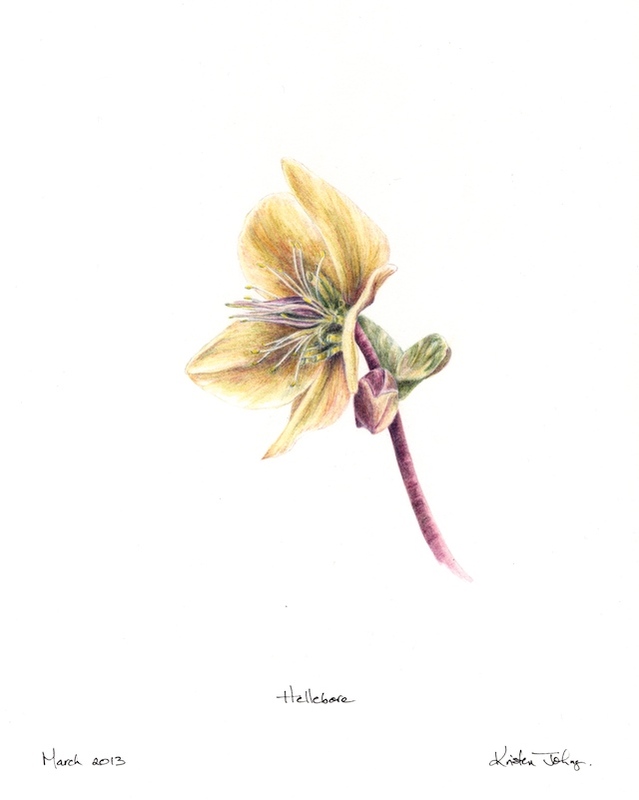 And perhaps the hellebore has some persistence of its own - flowering with all its delicate beauty in the cold and wind of early Spring. 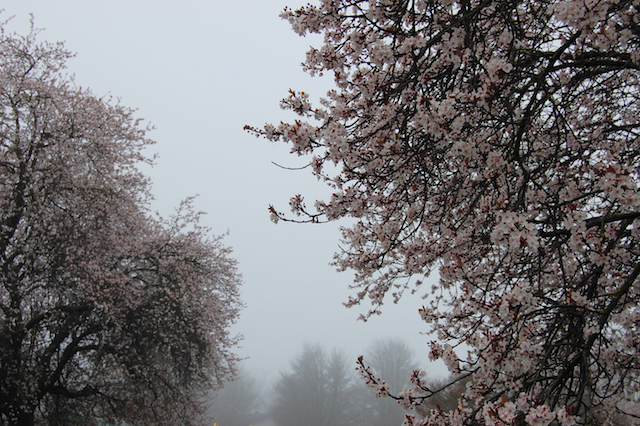 ...when I walk under cherry blossoms in the mist. Seriously! I've been trying all week. I've done several sketches and started two large drawings and it's just not working! Creating can be so fickle and... well... frustrating. neither of which I can capture! Please go outside and take a look at one, because I can't do it justice with my hand!